and Rev. Fred M. Judson, minister. Many said the vote which ousted the two incumbent candidates, Mayor Thomas J. McDermott and Councilman Louis E. Mahoney, was a victory for opponents of off-shore oil drilling. 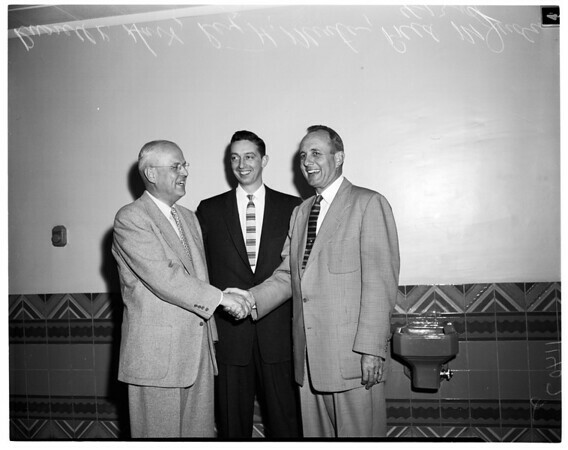 9/10: (Same story as #4 and 14 except l to r is Russell K. Hart, Fred M. Judson and Rex H. Minter, who topped field of council candidates in that order)".